Author and marketer Lynn Serafinn shares her 12-step template for turning your articles into great content for your readers and effective marketing tools for you. I work as a marketing consultant for non-fiction authors. Most of my clients come to me with the same problem—they want to build their online marketing platform so they can ‘get the word out’ to the world about their book. For this to happen, it’s vital that we create, define or refine their brand. What is the change you want bring to the world? What value does your book or company bring to humanity and planet? Armed with this level of self-awareness, an author can then begin the greater work of communicating their brand to the public. In a nutshell, that’s what marketing is. One of the key methods I encourage my clients to use to communicate with their audience about their book is blogging. Blogging (especially for people who are naturally inclined to write) is one of the most expressive, creative and effective ways to reach your intended audience and allow them to get to know your brand intimately. But a surprising number of authors have no idea how to write an effective blog that a) reinforces their brand and b) ‘sells’ their book without turning into a schmoozy sales letter. In this article, I’m gong to give you a 12-step template for writing an effective blog that can give genuine value to your readers, build greater connection between you and your audience, and serve as a marketing piece for your book without diminishing the integrity of your message. To make blogging work as a marketing strategy, you need to put yourself in your audience’s shoes. What are they looking for? What problems are they trying to solve? What do they love, hate, fear, desire? See the world through their eyes. Then, ask yourself this: How does your book address their problems? What expertise do you have that can meet their needs? Make a list of topics and break them into sub-topics. Try to come up with at least 20 ideas. If you blog only once a week, that’s nearly 6 months’ worth of value-driven content ideas. I spoke about this in another article I wrote on my 7 Graces of Marketing blog called ‘Left-Brain Blogging for Right-Brain Marketers’. So many writers I meet do not understand the importance of landing the right title for your blog article (or book, for that matter). Being cute, colourful or poetic doesn’t necessarily work in blogging. If your title doesn’t say exactly what a reader will find in the article, they are unlikely to check it out. Remember, the viral nature of blogging is highly dependent upon people sharing your article on social media and bookmarking sites. Even if someone does share your post, if the title doesn’t speak to their followers and readers, they won’t be inclined to click their link to check it out. For your blog post to be an effective marketing tool, make sure you SAY what the article is about in the title. Put keywords in the title that will show up in searches if people are trying to find specific information. Finally, try to make your title no longer than 60 characters long (including spaces). The reason for this is that many search engines will cut off after 60 characters. If you need to make the title longer than 60 characters, make sure the crux of the message and the most important keywords are before the 60 character point. Always include an image in your blog post that reflects the subject and feel of your article. I encourage authors to put this image at the top of the article on the left-hand side. Make sure it is listed as the ‘featured image’ if your blog has that function. Search engines love rich media like images and videos, but images also make your article more attractive when shared on social media such as Facebook and LinkedIn, and encourages people to ‘pin’ your post on Pinterest. 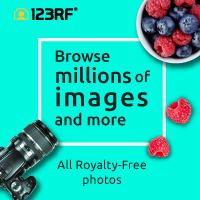 123rf.com. Royalty free images. Pay as you go or subscribe. http://www.123rf.com/#teknochik. iStockPhoto. Royalty free images. Pay as you go or subscribe. http://bit.ly/OM8rqW. I think it’s a good idea to start your article with a ‘teaser’ that summarises what you’re going to talk about in the article and WHY. This teaser should be only 1 or 2 sentences, preferably no longer than 160 characters in length (with spaces). Make sure the teaser is a complete, self-contained thought, and is not just the first line of your article. The reason for the 160 character teaser again has to do with search engines and sharing. When an article is displayed on search engines like Google and on social media sites like Facebook, you will see the title of the article and a short description of it. Unless you have your SEO (search engine optimisation) defined in your blog post, that description will typically be the first 160 characters of your article. Rarely (if ever) will your first 160 characters say anything of meaning about the context of the rest of the article. Putting in a ‘teaser’ ensures that people will know precisely what your article is about. Author, marketer Lynn Serafinn shares her 12-step template for turning your articles into great content for your readers and effective marketing tools for you. Put your teaser in bold italics at the beginning of your article. This will set it apart from the main body of your post, and allow your audience to get a quick idea of what the article is about before reading. The teaser is also another chance for you to use relevant keywords, making your blog post more likely to be picked up in Google searches. BONUS TIP: If you are a WordPress user, I recommend using a plug-in called ‘All in One SEO’. Then, in addition to entering your title and keywords, you can use this teaser for the meta ‘description’ of the post. After your teaser, start your article by presenting the ‘problem’ you are going to address in the article. Say what the problem is and why people need a solution to it. This doesn’t have to be very long or complicated; a few sentences or a short paragraph is perfectly fine. Then, after you’ve presented the problem, tell the audience how you intend to address this problem in the rest of the article. This is important because it helps ‘filter’ your audience: those who don’t care about the topic will click away and those who are really interested will keep reading. And here’s the secret: the more ‘filtered’ your audience becomes, the more defined they become. And the more defined your audience is, the more clearly defined your brand becomes in their eyes. This section is the main body of your article. It is the place where you demonstrate your wisdom or expertise by addressing the ‘problem’ you identified. How long does this need to be? That really depends upon what you ‘promised’ in the previous step. For example, at the top of this article I said I would give you a 12-step template, so that automatically defined how long this article would be. But I tend to write long articles and certainly your blog posts don’t need to be as long as mine. For example, I asked one of my clients to write an article explaining the meaning of two symbols from her book. Notionally, she only had to write one paragraph for each of these symbols. TIP: Don’t go off the topic in your blog post. If you presented a problem, stick to addressing it and don’t go off on a tangent. If you find yourself wanting to talk about things that aren’t really related to the problem you presented, save those ideas for a different article. After you’ve presented your ‘solution’ write a paragraph that summarises how you fulfilled the promise of the article, and highlights the importance or usefulness of the subject at a wider level. What can this bring us? How does it help us? How does it add to our lives? What’s the bigger vision? For example, my summary at the end of this article will talk about how good blogging can bring authors and business owners to ‘sell without selling’. After all that is done, give a brief mention of your book, relating it to the topic you just discussed. This should NOT be a ‘sales pitch’ but an invitation to the reader to get to know more about you and what you offer by letting them know you have more to give. Try to keep this to a single sentence (two at most). In a single sentence, tell your readers what they can expect from future articles, and invite them to subscribe to your blog. TIP: Be SURE you have an email subscription box set up via Feedburner, JetPack or other subscription service). Always encourage your readers to leave comments on your site. This helps build stronger connection with them, and it also gives you feedback about how they feel about your content. Start your request by saying something like ‘I’d love to hear about your own experience’, or ‘I’d love to know what you think about this topic’, etc. Then, simply ask them to leave a comment in the comments box. This is a step too many bloggers overlook. It is HIGHLY important for people to know something about the author of the article they’ve just read. Without this, they cannot form an opinion about the value of your content, your book or brand. It’s wrong to assume that people know who you are just because they came to your website. It’s your responsibility to give them this information. ‘Why’ is this person talking about this particular subject? ‘Why’ should I believe in what this person has to say? ‘Why’ should I come back to this site in the future? ‘Why’ should I check out what else this author does (their book, their business)? Short-term sales might come from sales pages, but long-term customers come through TRUST. Writing effective blog posts on a regular basis is one of the best (and easiest) ways I know to build that trust. The more your audience gets to know you, your ideas and what you stand for, the more they come to trust your advice and your integrity. The beautiful thing about blogging is that it is a way to ‘sell without selling’. When you share your wisdom, insight, experience, information or expertise on your blog, you are not only giving value to your audience, but you are also building awareness about yourself as a non-fiction author, business owner or service provider. Thus sales become an organic—rather than an aggressive—by-product of this interaction between you and your readers. In my book The 7 Graces of Marketing, I refer to ‘The Grace of Inspiration’ as being the antidote to the ‘Deadly Sin of Persuasion’. I believe content blogging is a prime example of ‘Inspiration’—where we share our wisdom, ideas and expertise freely. Inspiration breathes life into our readers and customers, rather than hitting them over the head, as so many ‘old school’ marketers do. This shift away from Persuasion to Inspiration is part of the new paradigm I explore in that book. Of course, to get the word out about our blogs, we need a way of broadcasting them to the world. In my book Tweep-e-licious, I offer many practical strategies for how to use Twitter to promote your blog to your ideal audience. AND…if you’re serious about building your business through blogging you might consider our Spirit Authors Platform Builder packages (Starter Package or Growth Package). That’s a 13-week programme where we work with you to create an effective blogging strategy for YOUR audience, and support you by doing a lot of the ‘legwork’ to get your articles edited, proofed, published and distributed to your network. To speak to us about our Platform Builder packages, drop us a line via the contact form on this site and we can set up a free 30-minute consultation. The 12-step template I showed you today is exactly the same one I use and teach my clients. I hope you’ll give it a try and that it helps to strengthen your brand, and increase your following and your sales. Please share this information with your friends if you found it useful. And as always, I welcome your comments, feedback and thoughts for future articles below. What is a Virtual Blog Tour? How Do You Set One Up? Lynn Serafinn, book marketer, coach, campaign manager for #1 bestselling authors, explains all about Virtual Blog Tours, their many benefits and how to run one. When I organise a book launch campaign for my author clients, I always include a Virtual Blog Tour. Every time I start a new campaign I am invariably asked, both by my clients and by their Joint Venture Partners (JVPs), “What exactly is a Virtual Blog Tour?” I thought it would be a good idea to write an article explaining what it is, and why it is a great promotional tool when properly organised. A Virtual Blog Tour (VBT) is an online “event” wherein an author “visits” a different blog each day during a specified period of time, generally 2-4 weeks in duration. For instance, if your VBT were 2 weeks long, there would be 14 blogs, and each blogger would be assigned a specific day on the tour. In selecting blogs on which to appear, the author would seek out bloggers who have good traffic aimed at specific target audience(s) congruent with the topic of the book. Technically, the author doesn’t “visit” these blogs. Rather, on the assigned tour day, the blogger would post a blog about the author’s book. Some blog platforms (such as WordPress) allow you to schedule a post in advance, making it more convenient for the blogger by automating the process. The content of the blog could be an article about the author, a book review or an interview. When I organise a VBT, I generally prefer to use interviews, which are organised in advance between the blogger and author. The way I organise the interview is to provide a good selection (10-20) of sample topics or story angles on which the author could answer questions. Then, each blogger provides (well in advance) 3 original questions he/she would like to ask the author, aimed at their particular reading audience. When I send the sample topics to the VBT bloggers, I ask them to formulate 3 questions based upon a topic (or topics) they feel would be of greatest interest to their readers. The questions are sent to the author several weeks in advance of the tour. The author provides written answers to the bloggers’ questions, and together we assemble the “virtual interview” into a structured format, so the bloggers can more or less copy and paste it into their blogs (of course, they can edit it as they choose). “Today I have the great pleasure of being the host on Day 4 of the Virtual Blog Tour for The Super Duper Book by author Mary Jones. Yesterday, Mary visited John Smith’s blog at [link to John’s blog]. Below is the great interview I did with Mary about how to be super-duper. I hope you enjoyed this interview with Mary Jones and that you’ll check out The Super Duper Book by Mary Jones coming to Amazon on [date]. You can receive a collection of great gifts when you buy her book on the day of her launch, including one from me: [name of blogger’s gift]. To find out how to buy Mary’s book and receive these gifts, go to [link to author’s sales page]. When I organise a VBT, I create a “Tweet” for every stop on the tour, and give them to all bloggers and JVPs well in advance, asking them to post at least one update per blogger. That means, on their designated day on the tour, dozens of people would be sending out updates with a link to Mary’s blog post to potentially hundreds of thousands of people on Twitter, Facebook, LinkedIn, etc. (depending upon the size of your campaign team). Additionally, the author would post the tour calendar, with all the links, on his/her own blog. It provides bloggers with easy, original content for their readers. Because an organised team of networkers is sending out updates for each stop on the tour, it has the potential to drive 1000s of new readers to each blog. It helps increase search engine rankings for the blogs, as the blog is linked to, both forwards and backwards, the other blogs on the tour. Bloggers on the tour get to connect with new bloggers who share common interests and speak to similar audiences. There is a diversity of content going out about their book during a concentrated period of time. The content is easy to create. They get their book promoted to 1000s of people every day for the duration of the tour. The content you have created could be reused for other purposes. And don’t forget, if a blog post is particularly interesting, both the author and the blogger can “reTweet” about it every now and then after the tour. I hope you found this information useful. Please do feel free to leave your questions or comments below. And if you would like to discuss setting up a book launch or VBT for your book, feel free to contact me via the contact form at http://spiritauthors.com/contact and tell me about your book project.